Away from the large resorts, Brown + Hudson simply love to find unique islands steeped in culture, wildlife and offering experiences you simply couldn’t find elsewhere. From romantic private island stays complete with a personal butler to far-flung archipelagos surrounded by a diversity of marine life and coral reefs, we wanted to offer our top three suggestions for the perfect island retreat. Our first choice verges away from the idealistic worlds of the Caribbean and the Maldives leaning towards something a little different, yet even more exciting. Our top island choice today would have to be Africa, staying on Vamizi Island. Located in the Quirimbas Archipelago in Northern Mozambique, Vamizi is one of the few places in Africa that genuinely competes with the worlds top beach destinations. With 7 kilometres of virtually private beach, untouched diving reefs and incredible fishing waters Vamizi’s location is mind-blowingly beautiful, exuding barefoot luxury. Just off the coast lies the world-renowned fishing hotspot, Lazarus bank. Lazarus bank is home to huge numbers of sailfish and marlin perfect for a spot of fishing with an incredibly knowledgeable naturist who will explain everything from the marine diversity to the lush vegetation, birds and trees. The coral, seas and pinnacles that surround the island on the south side are completely private, all belonging to Vamizi lodge, meaning there is a definite element of exclusivity, privacy and a chance to be at one with your surroundings (quite literally). The waters around the lodge have been a part of a conservation project since 2005 and the marine life is considered to be as abundant as it was a hundred years ago, which in this day and age is almost unheard of. As you arrive on the Island your personal driver and guide will collect you in one of their 4 x 4 vehicles and you will traverse the landscape by forest road. Some of the diving here is said to be the best in the world and for those that like a bit of exhilaration, the deep sea fishing is certainly advisable. For those wishing for a little private luxury, we can arrange a private cast away picnic laid out with your favourite treats and beverages. Vamizi is home to Green and Hawksbill turtles that come up onto the beach to nest at night. Why not spend the evening watching the incredible sight of eggs hatching. Some baby turtles can get trapped in the sand and this will be the perfect chance for you to save the stragglers with the conservation team and release them back into the wild. Between July and September each year the humpback whales pass Vamizi on their epic voyage from East Africa to Antarctica. With them are their new-born calves and this is the perfect chance for you to capture the frolicking in the sea with their new families enjoying the deep water channels around the island. For something a little more land based,you can explore the terrain with your own private guide. A revered naturalist your guide will offer incredible into the lands interior, also giving you a chance to monitor turtle nests. There are also mountain bike and running trails throughout the forest, ensuring this is literally a little piece of something for everyone. Our second island choice is somewhere completely different and a little more chilly. We would recommend Iceland for the intrepid island explorer any day of the week as it is just so incredibly beautiful, vast and diverse. We believe there is no greater island escape than traversing the Golden Circle, which covers around 300 km looping from Reykjavik into central Iceland and back. The three primary stops we recommend en-route are the national park Pingvellir, the waterfall Gullfoss and the geothermally active valley of Haukadalur which contains the geysers Geysir and Strokkur. Though Geysir has been inactive for a long time, Strokkur continues to erupt every 5-10 minutes which is an incredible site to behold. You may have dived amongst colourful corals and rusting shipwrecks, but at Brown + Hudson we work on a slightly larger scale. Why swim between reefs when you can dive between continents? A couple recently approached us to plan an unforgettable Icelandic adventure, combining jaw-dropping scenery, luxury accommodation and thrilling adventure. To top off a weekend spent soaring over active volcanoes, discovering remote glaciers and meeting with filmmaker of James Bond’s Die another day, we delved even deeper. Our pursuit of extraordinary experiences allowed our clients to explore one of the planet’s most spectacular dive sights; the Silfra Rift. To capture the experience of swimming between tectonic plates of North America and Eurasia, we enlisted the services of legendary BBC cameraman Doug Allan, who filmed the couples own underwater adventure. On the Snaefellsnes Peninsula, this couple tried the fishermen’s secret test of strength, and in Stykkishólmur they visited the Library of Water (where no volume is ever overdue). Then there was Vatnajökull Glacier by snowmobile, white-water rafting down a remote river, horseback riding over the barrens, whale watching from jet boats and relaxing in geothermal pools. Our final island destination of choice would have to be Los Roques. Archipelago de Los Roques is a chain of islands and coral reefs in the Caribbean Sea about 166 km north of the Venezuelan mainland. 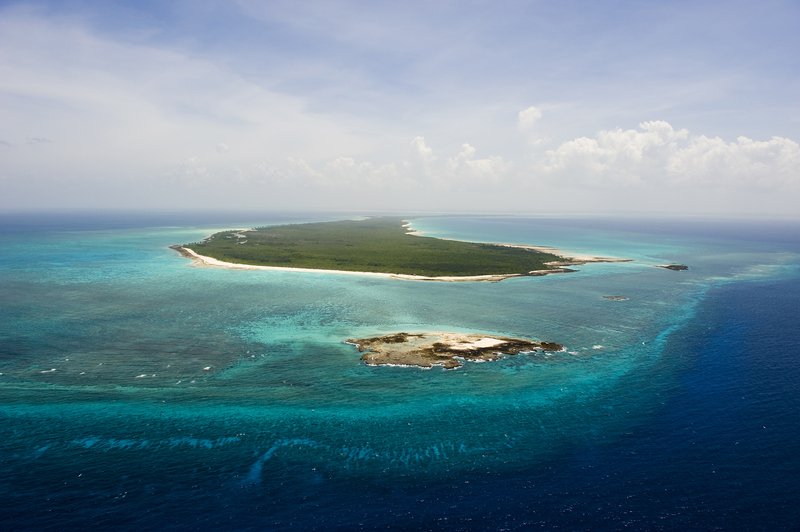 The Archipelago de Los Roques National Park spans 225,153 hectares of sea and land and includes over 40 cayos or islands as well as some 250 coral reefs protected by not one, but two barrier reefs. So why do we love it so much? Los Roques enjoys the same sparkling turquoise waters to those surrounding the Caribbean and is truly a sailors dream, perfect for setting sail on your very own private luxury chartered boat dipping from one gloriously crystal clear cay to another with a lovely crew onboard to guide you to the best spots and ensure you are well looked after. As you can probably guess, the marine life here is beyond spectacular. The seas are filled with tarpon, jacks, tuna, bonito and barracuda. Another thing we love about this island is its protected status. Only the Northeast corner of the island is allowed to host any accommodation and the islands have virtually no cars or trucks running through them. Another thing we love about Los Roques is its culture. A good half of the posadas are owned by Italian expats giving the island a beautifully relaxed Mediterranean vibe that we simply adore. As you can see, there is no end of choice for something a little different and Brown + Hudson like to craft journeys that you never thought were possible. From revered camera crew, to incredibly knowledgeable guides, people of great inspiration and importance, Brown + Hudson focus on the spectacular, ensuring you live out your dream trip of a lifetime in the best and safest of hands. If you would like to talk to us about your next island escape call us in our London office on +44 203 358 0110 or email.